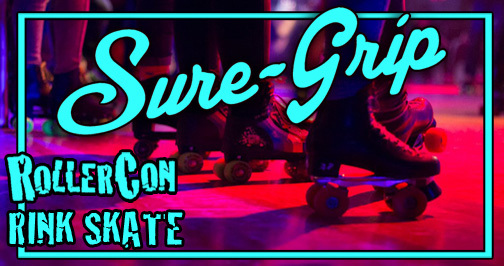 Sure Grip Rink Skate Sessions. Lace up your skates for an old fashioned session skate, minus the children and with way better tunes! These are regular ole fashioned session skates. Each session is free and open to all Skater and MVP passholders with validated USARS insurance. Gear is *not required. * Drunk people will be killed and eaten (plus they won’t get to skate), so save the cocktails for after, when your skates are off and safely stowed away.